Until November 2018. We meet up with my Husbands Cousin Steve and his Wife Nancy in Joshua Tree, Ca to camp for a couple of days. One of those nights after dinner we are sitting around the campfire drinking hot tea and talking. I bring up the movie “Wild” and how much I Loved It! Nancy says she had read the book and really Liked it A Lot! I shared with them what I had told Mark “We should do that” (hike the PCT).Steve and Nancy both say ” We have Always wanted to do that hike!” Then the conversation starts. 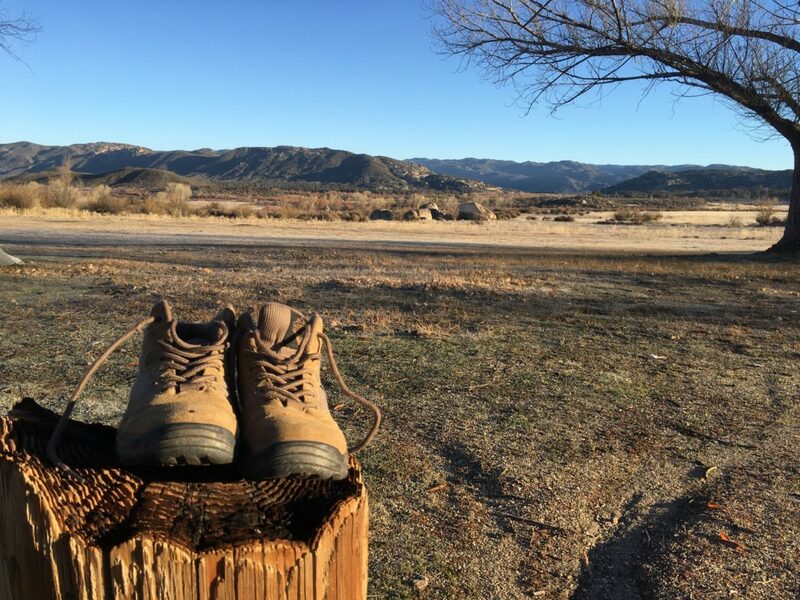 How it can be done, how we can do the PCT hike in California. Little did I know that Steve and Nancy are Planners! Dates and Hikes started coming to us via text. Steve started a PCT Adventurers page on Facebook and started putting Maps and Data on there. This is now getting Serious. My Husband got a week off work. I let the Market Managers know I would miss a couple of Markets. Campsites booked, hikes scheduled, clothes and food packed…this is really going to happen! These words come back into my head….WHAT DID I JUST SAY? Your parents just told me of your plans less than ten minutes ago. Sychronicity.